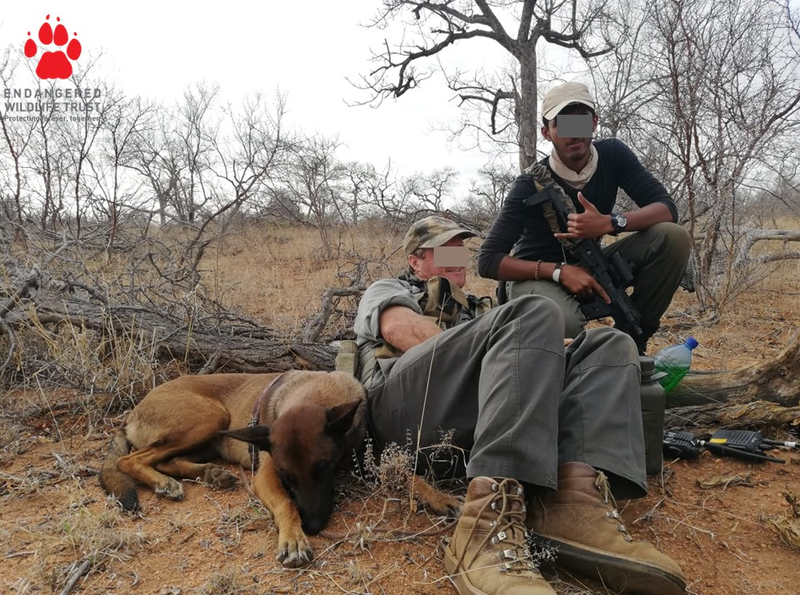 The Endangered Wildlife Trust’s (EWT) Conservation Canine, Annie, and her handler, Colin, have struck again, with their efforts leading to the arrest of three suspected rhino poachers in Balule Private Nature Reserve, Limpopo. In what may be one of the most exciting anti-poaching follow-ups of the year, Annie and Colin tracked through the night to secure this victory for wildlife. Suspected poacher tracks were found during a late afternoon anti-poaching patrol and Annie and Colin, with assistant, Mervyn and the EWT’s Canine Handler trainee, Shay were soon deployed on the tracks. They followed the tracks through the night and literally completed a marathon in pursuit of the suspects through the darkness. This was not however, a solo mission, as the whole community assisted with the chase, including the Balule Regional Anti-poaching Units, the South African Police Service, and a large number of Hoedspruit Farm Watch members who closed potential exit routes. The operation was skilfully coordinated by the Balule Operations Room, and by daybreak, the suspects had been successfully contained within the reserve. With sunrise, air support could be brought in, and two fixed wing aircraft (Flying for Rhinos and Game Reserves United), the Wild Skies Aviation chopper, a gyrocopter, and the Hoedspruit Airforce Base’s Oryx helicopter joined the mission. The ground tracking team was joined by the Southern African Wildlife College Dog Unit’s pack hounds. This huge effort culminated in the arrest of three suspects and the seizure of a rifle with silencer and other poaching equipment. The poachers had done everything to try and deter Conservation Canine Annie, including covering their shoes in sponge and continually backtracking and circling to try and confuse her, but to no avail. The EWT’s Conservation Canine Fury, who is trained to detect rhino horn, ivory, and ammunition, with the EWT’s Canine Handler trainee, Shay, searched for evidence at key sites. This is a shining example of how a community can stand together against the scourge of rhino poaching facing our country. EWT Conservation Canine Annie and her team have been responsible for the arrest of no less than 12 suspected poachers this year alone, and her ability to operate at night with her handler is seen as a major step forward in the fight against rhino poaching. 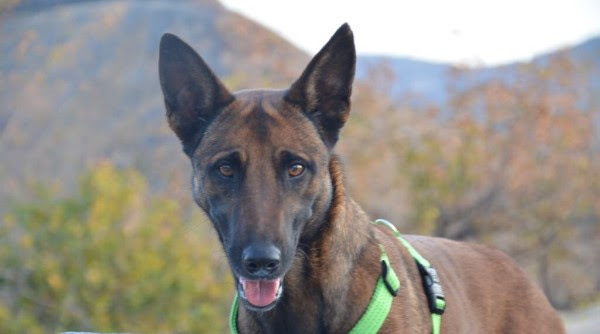 Annie is a four-year-old Belgian Malinois dog who is trained to track humans. She has been working with Colin since June 2018 and was trained at the Southern African Wildlife College with financial support of the Hans Hoheisen Charitable Trust. The EWT is proud to be associated with such a dedicated team and salutes everyone who was involved in this well-coordinated effort in the dark, in Big Five country. Conservation Canine Annie’s hander Colin is urgently looking for a chest-mounted GoPro camera in order to record this kind of operation, for training and law enforcement purposes. 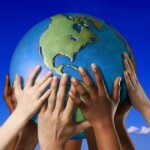 If you would like to donate one, please contact Ashleigh Dore on ashleighd@ewt.org.za. The EWT Conservation Canine Project is supported by US Fish and Wildlife Service, Royal Canin, MyPlanet Rhino Fund, Relate Trust, SBV, and several generous individuals.